Are you trying to get more visitors to your website? If you feel like you’re not getting the visitors that you think your website deserves, the problem may lie in how well your website is optimised for SEO. Fortunately, there are some great SEO plugins that you can use that will help you to optimise your website and as a result a potential increase in the number of visitors. Here are some of the best SEO plugins for Google Chrome that you may want to consider installing that will help you on your way to marketing your own website. 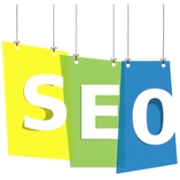 The Majestic SEO plugin is a great way to quickly evaluate the quality of your website. The plugin details the Citation Flow and Trust Flow for any site, and even a specific webpage, enabling you to quickly see if the website is of a high quality and as a result worth reaching out for a link. If you are a Majestic SEO subscriber then you certainly do have more information to make use of, like anchor text and backlink data, saving you from having to log into the dashboard. This will assist you with your competitor analysis work straight from your toolbar. The Mozcast plugin is one of the most dependable ways of seeing if there is widespread turbulence in the Google’s Algorithms. The great thing about this plugin is, like the former abandoned PageRank status, you only have to take a look at the top corner of your screen to get a glimpse of how the Google algorithm weather is looking. If your website has suddenly had a drop in traffic you could use this plugin to look back to see if the drop may have been caused by volatility in the Google algorithm. Another great thing about the Mozcast plugin is that it updates itself every day and displays the heat and weather symbol, this means that you can be able to give it a quick glance every morning. Woorank is an excellent plugin that displays competitive and technical metrics for any site and specific landing pages. It tells you all the on site features of the landing page, such as description, title tag, H1, H2, as well as the keywords used on the landing page, therefore it is great for doing competitor analysis. For technical SEO you can see broken links, sitemaps, URL quality, robots.txt, plus much more. The Woorank plugin even has social metrics, which enables you to see followers, likes, social images, tweet numbers and whether accounts have been verified. This can be quite useful for link-building, since it enables you to see the potential reach a website has. What makes the Woorank plugin stand out from other plugins is that not only does it gives you the above information for desktop, but it also provides information about mobile visitors, and with the April Google update mobile is now more essential than ever. Mozbar is a SEO toolbar that is provided by the Moz SEO Company. The plugin is helpful for analyzing SEO performance on pages or websites. Page authority and domain authority (PA and DA) are two of the important metrics that Moz calculates so that it can determine the ranking expectation of a site. Besides these, Mozbar also provides inbound link analysis, keyword analysis and traffic data from Quantcast and Alexa. This plugin also highlights links according to their attributes, like nofollow, dofollow, external or internal. Google Analytics is one of the most popular tools that is used to analyse website performance metrics such as bounce rate, total unique sessions, time on site, and allows you to split test ideas to get the best results from your website. You are also able to analyse your website in real time and set goals, events and conversions to maximise your websites potential.